This beautiful oceanfront beach house is the perfect vacation spot for families and friends to get away from it all. With 5 bedrooms ( 4 up, 1 down) and 4 bathrooms (3 up, 1 down), this home can sleep 14-16 comfortably (12 in the 5 bedrooms plus 2-4 in two hide-a-beds). Large deck with spectacular Panoramic Ocean Views, just steps from having your toes in the sand. Open floor plan with kitchen, dining room and living room. Wireless connection plus Big Screen High Definition TV in living room with DVD player and VCR. All bedrooms have their own Televisions with cable and DVD players. 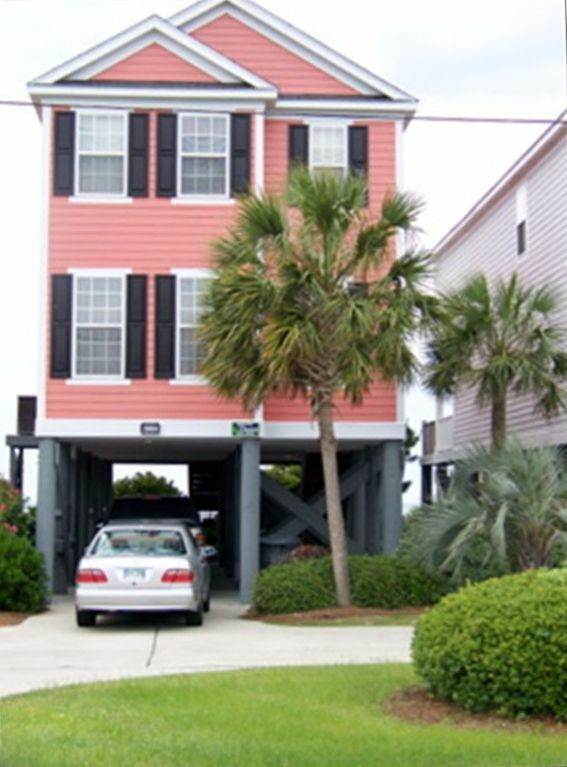 This is a great beach house that will help make memories that last a lifetime. Beautiful deck overlooking Beach and Ocean. Direct Private Access! Our family stayed in this lovely beach front home for our daughter’s engagement party, house was close to location, and love beach front. Great time had by all ~ we will def be back. We watched the sunrise and dolphins swimming every morning from the deck overlooking the ocean. Plenty of room and amenities inside and amazing access and views outside. Would definitely recommend and will likely stay here again next time we visit. Gracious and accommodating host. We had our family Thanksgiving vacation with 13 of us & we couldn't have had better accommodations. This house has everything. Rich & Missy are the best. Can't wait to do it again. Thanks for the best vacation. Great property! I will definitely come back! The kitchen was fully-stocked with everything you could ever possibly need. House was clean and owner was wonderful to work with. The house could use some minor upgrades, needs some small things, like more hooks to hang towels, small step stool (I was too short to reach bottom of washer), but overall LOVED our vacation there. We had 3 couples and 5 kids ranging from in ages from 3-10. We had 2 local friends stay a couple nights. Kitchen got a bit tight sometimes, but the house fit us well. Upstairs bedrooms are up and out of the way for peace and quiet. Porch is PERFECT, provides a lot of area to hang out in the sun or in the shade, and the best part was being able to walk right out to the beach. Its not like one of the houses that say 'right on the ocean', but it takes you 10 minutes just to walk the boardwalk and past dunes, this really is right on the ocean, a perfect distance to enjoy high and low tides, and not over-crowded. Owner was more than responsive anytime we needed something or had a question. I highly recommend it! Great property at a great location. Girls trip was perfect at Portofino IV. The owner is very proactive and involved in your stay with helpful tips & pointers as well as being very receptive to your concerns & questions. Having 5 bedrooms and 4 baths made the girls trip perfect with everyone having a little bit of privacy and great gathering places. Book this location you won't be disappointed !